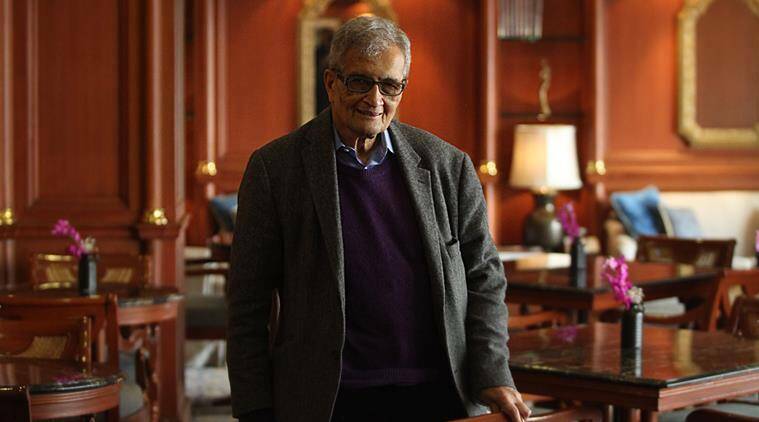 My efforts are better spent in trying to do things for Harvard University and Trinity College Cambridge, where I can make a difference, Amartya Sen said. The reconstitution of the Board of Governors in Nalanda, done suddenly and without any sense of due process, what do you make of it? The government’s action in effectively taking over the governance of Nalanda was certainly sudden. It came as a surprise even to the Chancellor, George Yeo (the former Foreign Minister of Singapore), who has been an outstanding head, but has been suddenly deprived of his authority… The Chancellor was not only not consulted, he was even kept completely uninformed. The Board members knew nothing either, except the Secretary East herself and, I presume, N K Singh, who is a member of the BJP…This goes contrary to any kind of academic autonomy that a university should have. The idea of Nalanda, it seems, is something there is a problem with, do you agree? Is it because there is a desire to control what it stands for and its significance, which goes against the idea of what the Sangh would want it to mean? There is no problem with “the idea of Nalanda” in itself. It is the idea of a powerful academic institution with autonomy and a global reach, dedicated to the cultivation of knowledge, supported by a long tradition of an argumentative culture. What is clear is that the government does not share this “idea of Nalanda”. The government is evidently unable to understand the distinction between an autonomous academic institution funded by the government, and a subservient governmental body. The way this was done, at least to me, appears like how a lot of decisions are made by the government — suddenly taken and unmindful of serious consequences, any thoughts? Are you sad to leave the Nalanda Board? The answer is yes and no…I have been personally involved with Nalanda from the age of eleven, dreaming from my childhood of re-establishing the ancient academic glory of Nalanda. With solid cooperation between Chancellor Yeo and Vice Chancellor Sabharwal…and with supportive assistance from the board, the hard task of re-establishing a great academic institution was progressing slowly but very firmly. So, yes, I am sad, not so much because of my personal exclusion, but because of the way the governing of Nalanda is being taken over by the government. Despite that, personally I cannot but be relieved in being banished from the board, since there is nothing useful I can any longer do given the bureaucratic grip of GOI over Nalanda. My efforts are better spent in trying to do things for Harvard University and Trinity College Cambridge, where I can make a difference.